With a refined drive and a more tech-focused cabin, the new Avalon has younger buyers in mind. The Toyota Avalon has never been classified as a vehicle for young people. The median age of buyers for the outgoing model is 64 years old, in fact. Toyota, however, wants to attract younger consumers – not just to the Avalon, but to the entire Toyota range. 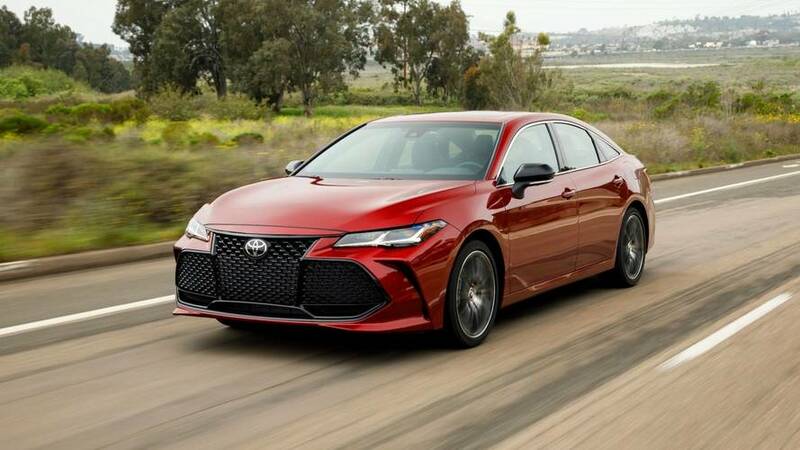 To that end, the aging Avalon has undergone a significant makeover, including dramatic styling, some added tech, and a modern new platform, all of which helps transform it from a vehicle reserved for senior citizens to a car for cool dads, and younger buyers in general. The 2019 Toyota Avalon pushes the envelope in terms of styling. Yes, its new face is hard to miss; the unified upper and lower grille design is massive and polarizing, and not particularly attractive in any trim. Lower-spec XLE and Hybrid models feature a chrome surround with horizontal slats that make the Avalon particularly hard on the eyes. But don’t let one design element detract from an otherwise appealing vehicle; upper-trim Sport XSE and Touring models are much improved with gloss-black plastic in place of chrome, and a honeycomb grille. Styling elsewhere is sleek, aggressive, and actually pretty darn attractive. 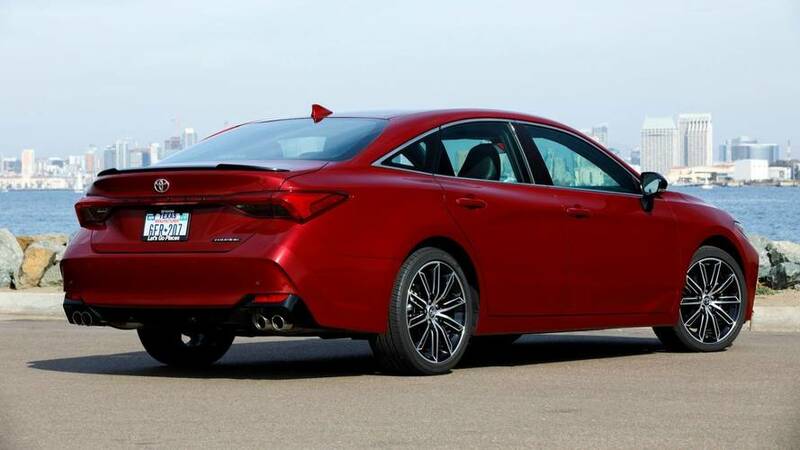 A ride height lower than its predecessor gives the 2019 Avalon an improved stance, and new 19-inch wheels (available on the Touring trim exclusively) further enhance its sharp appearance. In the rear, the traditional taillights have been replaced with a single unified reflector that extends from one corner of each light fixture to the other, giving it a stunning signature feature. The Avalon badge now returns to the center of the trunk lid, too, stretched across the extended reflector. A similar aggressive approach was taken in the cabin, but only certain trim levels make the styling work. The top-trim Sport Touring model is beautifully equipped with an all-black, SofTex faux leather and suede finish on the seats (leather is an option), silver accents, and soft-touch materials on the dash – but other trims are less attractive. The XSE Hybrid I tested came with a quartet of wood trim pieces, Cognac-colored leather (a new option for 2019), soft black plastic on the dash, and piano-black plastic over the infotainment system. The result was a cluttered, unrefined mess of materials and colors. The SofTex faux leather on its own, with no suede inserts to cushion it, leaves you with a desire for the real thing. Bumps and imperfections are ably absorbed by the suspension, giving the Avalon a comfortable ride without being too floaty. 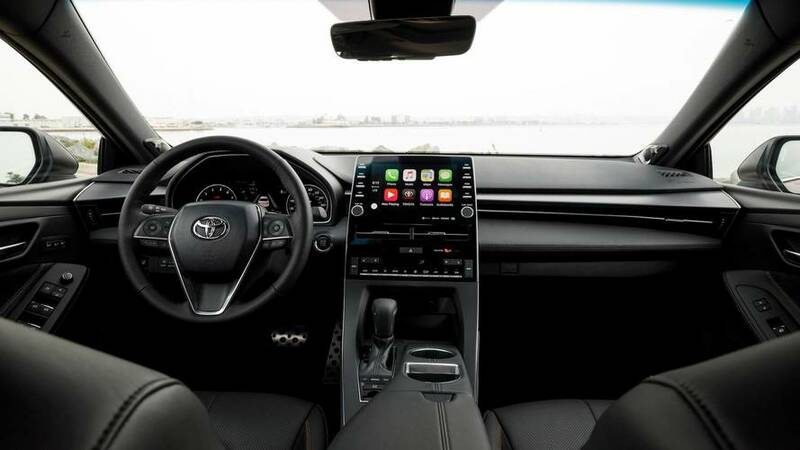 The Avalon is the first Toyota product to feature Apple CarPlay – a service long desired by Toyota’s younger consumers, and some reviewers like myself. When pressed on the subject of its competing platform, Android Auto, Toyota cited privacy concerns as the reason for excluding it, but didn’t rule out the possibility of adding the technology later. While Android is out, CarPlay is joined by Amazon Alexa voice control, and an updated Entune 3.0 infotainment system with Wi-Fi connectivity and Toyota Remote Connect, with both smartphone and even smartwatch capabilities. A standard nine-inch touchscreen system sits front and center, and is mostly flawless in execution; it’s responsive with crisp graphics, and a handful of surrounding buttons make life a bit easier for jumping to things like navigation, audio, and connectivity, among others. The added technology is definitely a high point, but buyers might be surprised to learn that the new Avalon is actually pretty fun to drive, too. 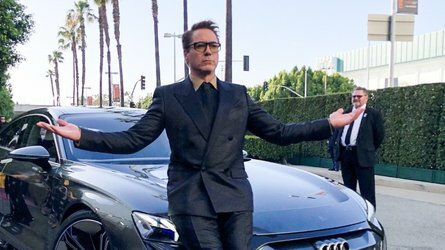 Carving up the curvy roads of Del Mar, California, provided a look at the sedan’s new sporty credentials – most importantly the new platform. 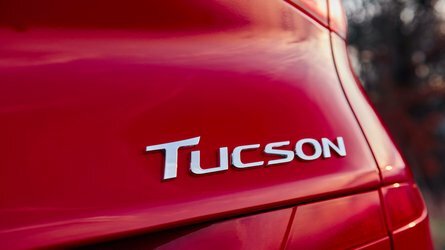 The new Avalon uses Toyota’s New Global Architecture chassis, or TNGA, which also underpins cars like the RAV4, Prius, and the upcoming Corolla hatchback. The new setup gives the Avalon an extra bout of athleticism. In this case, the chassis has been tuned more aggressively than its predecessor, making it more confidence-inspiring in corners, but also more comfortable, too. XLE, Limited, and XSE models make do with a standard multi-link rear suspension, but the range-topping Touring model is the one you’re after if handling is your game. This top-trim Avalon implements a new Adaptive Variable Suspension (AVS) for the first time. The system uses advanced G sensors and an intelligent ECU to read the road, providing a range of continuously variable damping force, depending on the drive mode (the Touring trim is the only model available with Sport and Sport + driving modes). Engineers say the system has the ability to monitor up to 650 degrees of change in a matter of 20 milliseconds – and the results are significant. Body roll in the corners is barely noticeable, especially for a vehicle of this size, and steering is heavy and accurate. 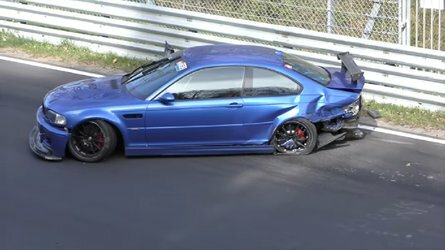 There is a smidgen of understeer on particularly tight corners, but not nearly enough to consider the vehicle unmanageable at speed. On straight roads, bumps and imperfections are ably absorbed by the suspension, giving the Avalon a comfortable ride without being too floaty. If you can overlook the questionable front fascia, the Avalon is much improved on all counts. It’s actually sporty for the first time ever, but still comfortable. Under the hood of all non-hybrid models is a new 3.5-liter V6 paired to an eight-speed automatic transmission. 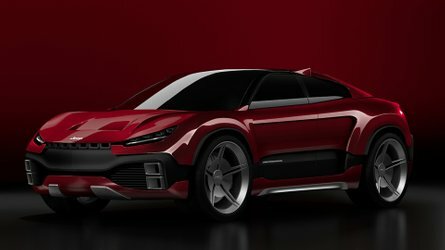 Output is rated at 301 horsepower and 267 pound-feet of torque, signifying a respectable 33 extra horses and 19 added pound feet over the outgoing model. All that newfound power manages to move the bulky 3,700-pound sedan around with ease. 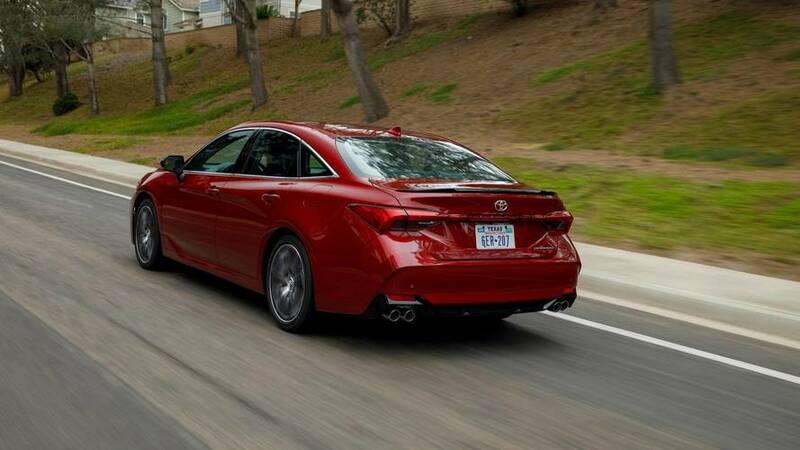 In a straight line, the Avalon is quick to put all 301 hp to pavement. In corners, alongside the Avalon’s sharp steering and stiff suspension, the eight-speed gearbox seemingly always has the right amount of power on tap. A new Intake Sound Generator (on XSE and Touring models) makes the formerly staid sedan sound more aggressive, too; the system pumps extra sound into the cabin when you mash your foot on the gas pedal. 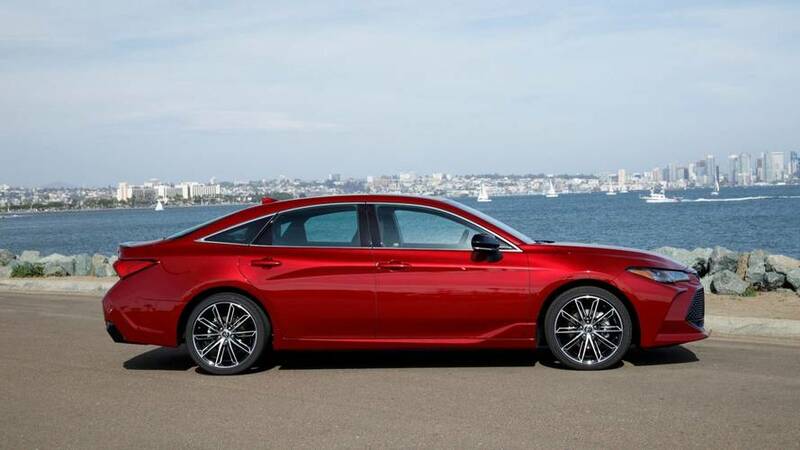 The V6-powered Avalon returns a respectable 22 miles per gallon city, 32 highway, and 26 overall. The hybrid model is a bit less powerful, but it makes up for it with extra efficiency. The 2.5-liter four-cylinder hybrid setup only produces 215 hp, but returns an impressive 43 miles per gallon city, 44 highway, and 44 combined in its most efficient trim. That setup is paired to a continuously variable transmission exclusively. 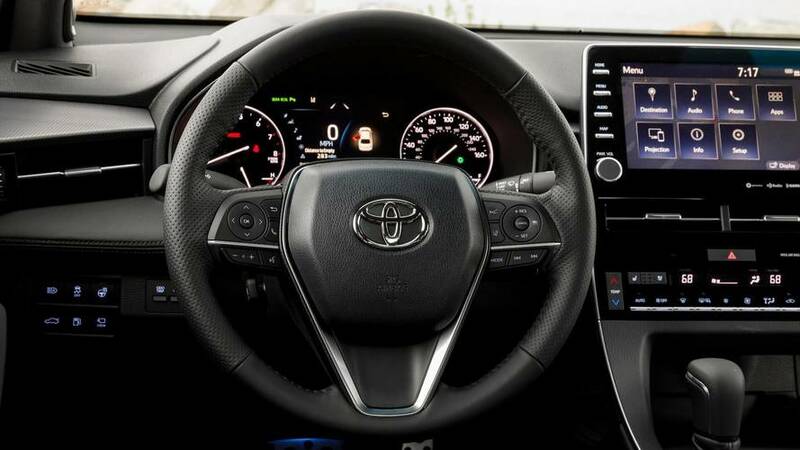 In terms of safety, the new Avalon is well equipped with Toyota Safety Sense P. That means it comes standard with features like pre-collision warning with pedestrian detection, dynamic cruise control, lane-departure warning with steering assist, and automatic high beams. A 360-degree camera can be had on Limited and Touring models, and parking sensors with rear cross-traffic braking can be optioned on most trims. 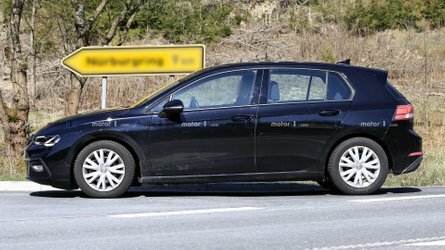 All of these systems worked seamlessly on road; lane departure was quick to nudge the vehicle back into the center of the lane, while the automatic cruise control – even on congested roads – maintained good speed and distance from the car in front of it, while also coming to a complete stop when needed. The base Toyota Avalon XLE will start at $35,500 for the V6 model and $36,500 for the hybrid. At that price, it’s one of the more expensive options in its class. For reference, the Buick LaCrosse ($29,565), Chevy Impala ($27,895), and Ford Taurus ($27,690) all start under $30,000, even if they are older; the Nissan Maxima begins at $33,270. The next-up XSE can be had for $38,000 for the V6 model and $39,000 for the hybrid. 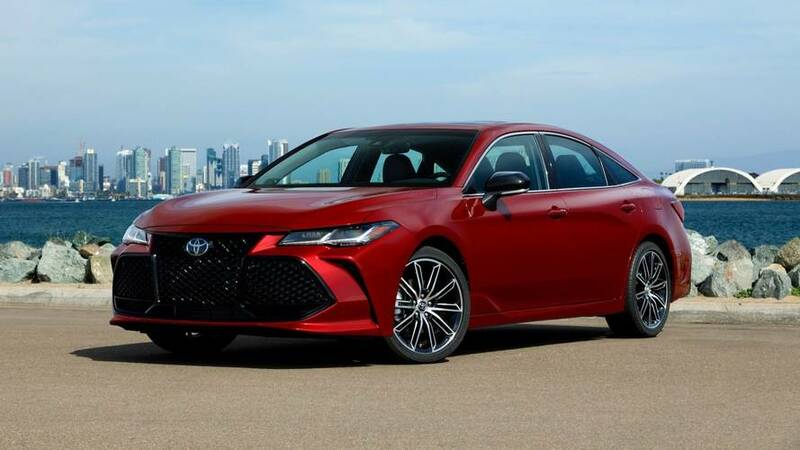 Opt for the Limited trim, and the Avalon just barely breaks into the $40,000 mark with an asking price of $41,800 for the V6 and $42,800 for the hybrid. The range-topping Touring model can only be had with the V6, and starts at $42,200. If you can overlook the questionable front fascia, the Avalon is much improved on all counts. It’s actually sporty for the first time ever, but still comfortable, and loaded with new technology – most important of which being Apple CarPlay and Amazon Alexa integration. Even with the Avalon’s history as being a senior special, this new model makes an interesting case for younger consumers.